Ralph E. Gomory was graduated from Williams College in 1950, studied at Cambridge University, and received the Ph.D. in Mathematics from Princeton University in 1954. He served in the U.S. Navy and then was a Higgins Lecturer in mathematics at Princeton University. There he accomplished the work that established the field of integer programming, which remains an active area of research today. In 1959, Dr. Gomory joined IBM's newly founded Research Division as a research mathematician. At IBM Research in the early 1960's, Dr. Gomory published papers with Paul Gilmore on the Knapsack, traveling salesman and cutting-stock problems (the last of which received the Lanchester Prize of the Operations Research Society), and with T. C. Hu on multi-terminal network flows. Dr. Gomory's research was recognized at IBM by conferral of the title of IBM Fellow, IBM's highest technical rank, and by numerous awards. He was elected to the National Academy of Sciences in 1972 and the National Academy of Engineering in 1975. In 1970, Dr. Gomory was named director of research, with direct responsibility for IBM's Research Division. The division made major contributions to the computer industry and to IBM's products. The Yorktown Heights Laboratory invented what is now known as RISC architecture. The San Jose Laboratory was the birthplace of the concept, theory and first prototype of relational data. The Zurich laboratory did the work that resulted in two successive Noble Prizes in physics, one for the Scanning Tunnelling Microscope and one for the new high-temperature superconducting materials. Fractals were another outcome of this period. Dr. Gomory was elected a Vice president of IBM in 1973 and a senior Vice president in 1985. He retired from IBM in 1989 and became president of the Alfred P. Sloan Foundation. Dr. Gomory's technical leadership has been recognized by the award of the Medal of the Industrial Research Institute and by the 1988 IEEE Engineering Leadership Recognition Award. 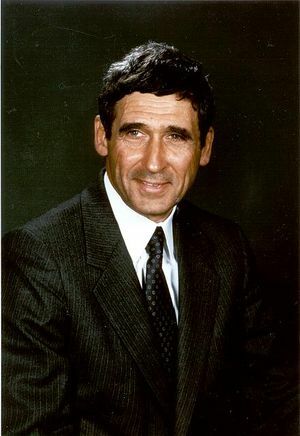 In recognition of both his individual work and his technical leadership, Dr. Gomory was awarded the U.S. National Medal of Science bv the President in 1988. In 1993, he received the Arthur M. Bueche Award of the National Academy of Engineering. Dr. Gomory was a director of several companies, including The Washington Post Company and Polaroid. He has been a trustee of Princeton University and a member of the President's Council of Advisors on Science and Technology. Recently, he has written on the nature of technology development, research in industry, industrial competitiveness, and on economic models involving economics of scale.